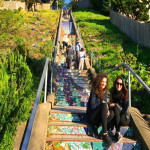 Thank you for your interest in Alcatraz Tours Inc. We appreciateyour interest in our business. Please find more answers to frequent questions under each tour page you are interested in on our website. Below you find a brief sum up of only some of these top questions to keep things simpleand brief. Q. Do you provide a complimentary pick up at our hotel? 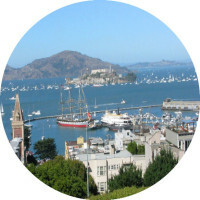 A.Yes, we provide complimentary pickups in San Francisco and in Sausalito. 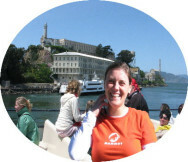 Q. What’s is the best combination tour you recommend with Alcatraz Island? We may offer Silicon Valley and Alcatraz combo tours in the future as well. Q. Do you offer half-day and full day trips? Q. Are you a pet-friendly tour company? A.Unfortunately, pets are not allowed in our vehicles out of respect for those who have allergies to pets. Smoking is not permitted in our vehicles either. Q. Do we have to book our Alcatraz tour in advance? Q. What to wear during Alcatraz excursion? A.Please be prepared for cold weather, slippery roads and hiking trails, so have comfortable waterproof hiking shoes to walk on the snow, in winter and spring. This long day-tour can be challenging for kids and seniors in winter. Q. 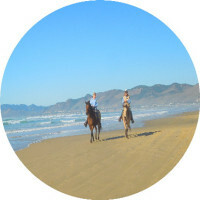 Do you offer guided tours in foreign languages? Q. Is Alcatraz Cellhouse Audio tour is available in other languages? Q. How long is the trip to Alcatraz? Q. What is the gratuity chart for tipping in the United States? A.Gratuity: 15 to 20% gratuity is required and customary in the USA. Generally, a tip may vary between 15% to 20% of the total purchase amount, or it can be a flat amount that is near the appropriate percent. It really depends upon the situation. Q. Why my reservation was declined and what to happens next? Q. Do you guarantee my tour of Alcatraz when my transaction is approved on your website? Q. How Alcatraz combo tours work? 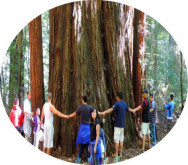 A.The first part consists of conducting private your guided and custom tour of the required destination you booked from our website; you can choose between our Muir Woods park of redwoods combined with Alcatraz, Napa Valley wine country combined with Alcatraz or San Francisco city tour combined with Alcatraz prison tour. Q. Why should you know when you visit Alcatraz Island? A.-Alcatraz is a steep and hilly rock located in the heart of San Francisco Bay. You will have to walk uphill, downhill, upstairs and downstairs (no elevators available). The distance from Alcatraz Ferry dock to the prison is about a quarter mile each way. -No minors under the age of 18 are allowed to visit Alcatraz without the accompaniment of their parents or adults at all times. Q. What’s the best time of year to visit the island? Q. What months are best for viewing nesting seabirds? Q. What water birds can I see on the island? Q. How accessible is Alcatraz? Q. How are Alcatraz Island Day and Night Tours different? Q. Are minors under the age of 18 allowed to tour Alcatraz Island without the accompaniment of an adult? Q. Can I bring luggage/coolers/oversized backpacks or packages to Alcatraz Island? Q. Why don’t you visit Lombard Street? There is a patchy fog /clouds over the Golden Gate Bridge, will we still fly? Yes, fog is unpredictable and can be very tricky as it can come and go at any time in just minutes. We will try our very best to fly you over the bridge or alternate the flight route so that you can get the best view of the bridge possible. Why do you need the age and weight of each participant? 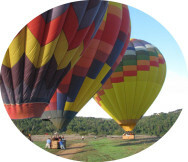 All passenger weights are required as we do have a maximum weight limit based on the total weight of all participants for safety considerations. Pilots are also trained to load the aircraft safely based on weight distribution, so please be patient with where the pilot asks you to sit. Besides – everyone gets a window seat! For all misleading information regarding age and weight, the flight may be canceled and not refundable. What age is considered a child? Anyone under the age of 12. Price for a child will only apply for children aged 3-11 years. Children under two years of age may sit in a parent’s lap and are free of charge. The pilot will provide noise cancelation headsets or earplugs but if you have your own, feel free to bring them on board. Why do I need to sign a release waiver before boarding my flight? All passengers are required to sign a waiver before boarding their flight, this is the standard operating procedure as everywhere else.